Did your grandma insist on leaving the living room lights off as long as there was still a sliver of natural light streaming through the window? So did mine! My kids today know that we try to utilize the natural light, or at least turn off the switch when we leave the room. Waste not, want not. What other conservative habits are you passing on to your kids that can save your household money and energy? You can share your tips and enter for a chance to win prizes when you join the family pledge campaign at Team ENERGY STAR! Just enter at this link. Our family entered in hopes of winning a free DVD of the movie EPIC. 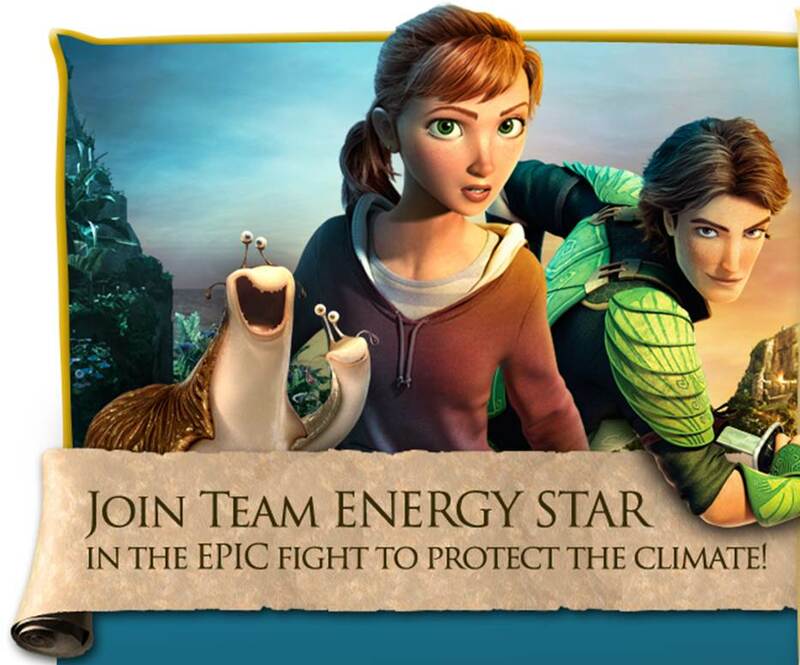 My kids had a blast when Team ENERGY STAR sent us to see EPIC at the movie theater this summer. Share more tips on August 21 during a Twitter party at 4 pm. Just follow #TeamENERGYSTAR to participate. If you’re savvy with social media, you can post your pledge on Facebook and Twitter for the chance to be the “Most EPIC Player” and possibly win cool ENERGY STAR certified electronics from LG. Is your school or community group looking for other ways to have fun going green? Check out these ideas from PTO Today! May your family have an energy saving start to the school year! FULL DISCLOSURE: I am writing about Team ENERGY STAR because I support the program and because I believe it is important to educate the public about energy efficiency and climate change. In the past I have received a modest “thank you” reward from LG, an ENERGY STAR partner, in appreciation for posts, and my children have won prizes for their ENERGY STAR participation. That in no way influenced my belief that saving energy is important and necessary.